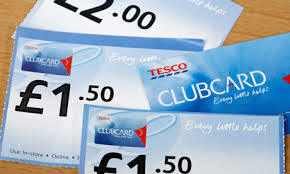 As reported by moneysavingsexpert, Tesco is planning to announce a big change to its Clubcard scheme. From next month on Clubcard members will be able to convert their points into vouchers whenever they want. Currently you have to wait for your quarterly Clubcard points statement in order to receive and spend vouchers. From 28th August there will be no more waiting and vouchers can be spent more spontaneously. Clubcard members will be able to log into their account at any given time and convert their points directly into vouchers. The key changes are ‘immediate’ voucher conversion and a reduced expiration period. Immediate voucher conversion can come in handy when you have a good amount of points sitting in your account and want to plan a day out or need some Uber credit. I do, however, believe that it will also encourage customers to use their points straight away in store rather than maximising their value via a Clubcard Boost deal. That vouchers expire after 21 months could also be an issue and might push some members to using their points in store to avoid expiration rather than saving up vouchers. These changes have not been confirmed yet, but there are rumours that Tesco will send out an email on 13th August with all information. We will see …..
It’s hard to imagine anyone having a good amount of points at the moment. The days of me worrying about hitting the 30,000 point cap are a distant memory. Any word about automatic conversion to avios? Not yet. We probably need to wait until 13th to find out.